There is a Garden in My Straws! The snack queen here again to tell you about a favorite and addictive snack. You all have heard me before mention how I like to snack. A bit too much at times. It’s a hard habit to break. When something claims to be healthy and delicious, I feel less guilty about snacking. Sometimes that means that I eat more than I should. Oops! The snack today is a rediscovered snack. I have eaten it in the past, but haven’t bought it in years. Then I found these beauties at Costco for a reasonable price and they came back into my life. 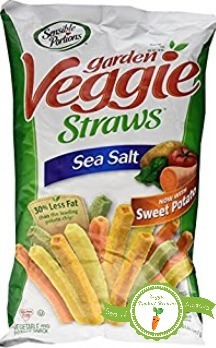 The straws are crunchy and delicious! Each straw packs a powerful crunch that makes you feel like you are eating a potato chip. They have less fat than a regular chip serving. They claim to have 30% less fat. So I can eat 30% more, right? They are gluten free, kosher, and non-GMO. The ingredients are all things that are pronounceable and familiar to the average consumer. No junk like corn syrup. They contain potato, tomato, spinach, and beetroot for the flavor and coloring. It has veggies, that’s a positive- right? They seem to be pretty widely available. I’ve seen them both in health food stores and regular grocery stores. These are addictive. Once I start eating them, I have a hard time stopping. I usually eat way over the recommended serving. I guess this could be a pro and con. Pro for taste, con for how I can’t control myself. After a while, these are a bit salty. Maybe that is because I eat too many though. Nutrient dense potato chips- say what? That’s all the excuse that I needed to try these chips. 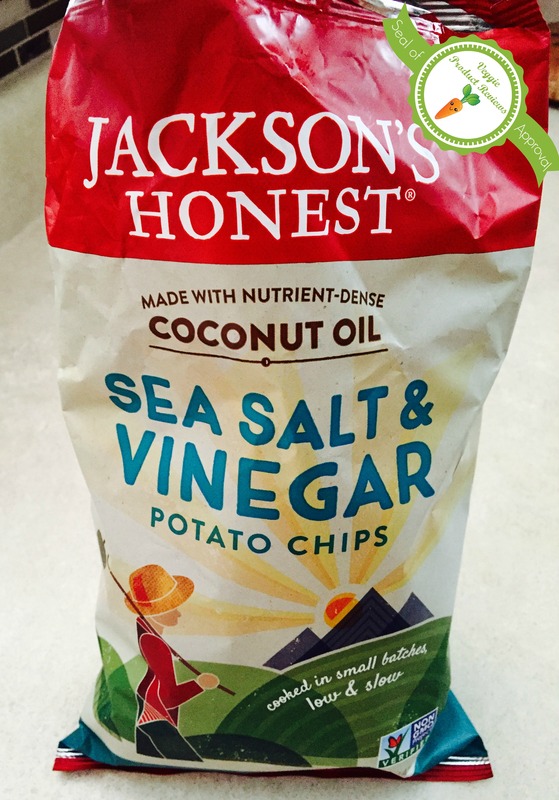 The website claims “For Jackson’s Honest, the goal of nutrient density is simple to define: pack the most traditionally nourishing fats, proteins, and carbohydrates into food as possible.” I’m not really sure I buy this claim, but my stomach did so I can eat more chips. Did I eat the whole bag? Yes. Stop gasping! I did it in about three sittings. Overall Grade: The chip itself gets an A because of the crispiness, but the flavor only gets a B. I enjoyed the flavor, but I could barely taste any vinegar. I like my salt and vinegar potato chips to have a lot of vinegar flavor. This product still receives our seal of approval! This chip has a lot of crunch! I like that in a chip. Each chip is thick. These aren’t paper think chips, they pack extra thickness and crunch. If you don’t like listening to people chew, don’t eat these chips with them. There were a lot of curly chips. I really enjoy curly chips. I can’t explain why, I just do. They didn’t all look uniform and processed. They had a nice oiliness to them as a chip should. They claim to be nutrient dense and are made with coconut oil instead of other oils. Too small of a bag! The bag was only 5 oz. If you wanted to bring these to a party, you would have to buy a bunch. These are more for yourself. And we won’t judge you if you ate a whole bag in a sitting. They didn’t have a vinegar taste at all. I would like to try another bag in a different flavor to see how the others compare. The bag makes you think you are eating healthy when you are not. Let’s be honest, a fried chip is not healthy. It’s ok though, I don’t eat chips for the health benefits.